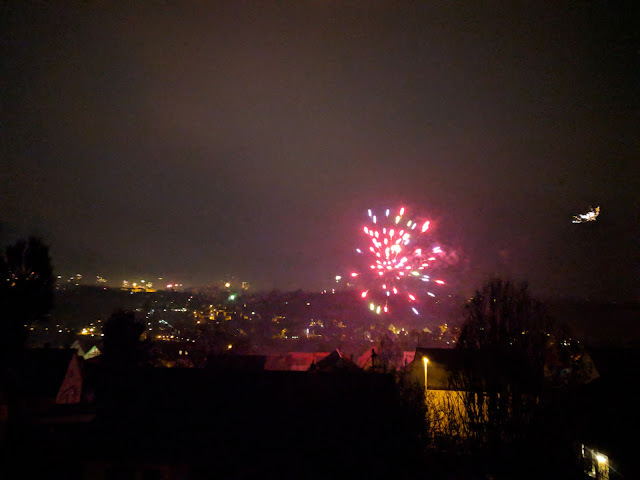 We spent New Years Eve with family and at midnight enjoyed the killer view across the Neckar valley to Ludwigsburg. 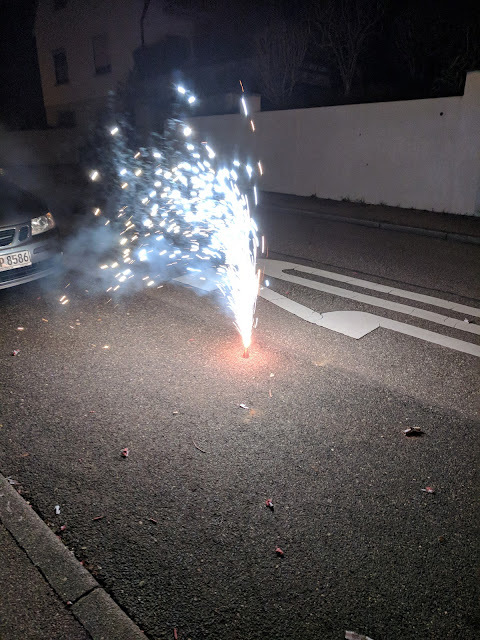 It's amazing to see the night sky light up with fireworks all over town. 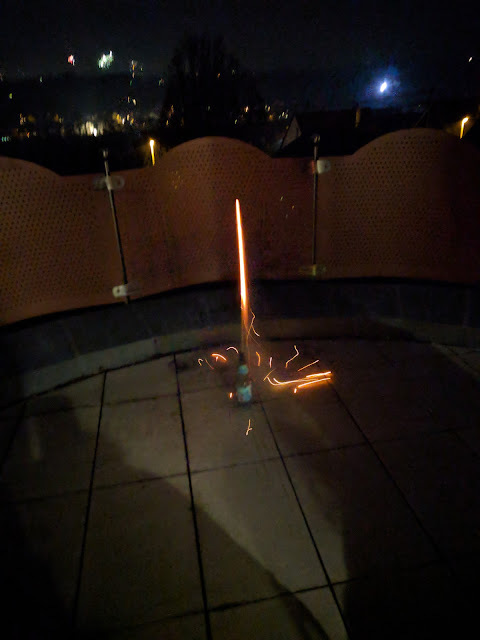 Here's a short video to get an idea what this looks like. Of course we launched our own rockets, too. 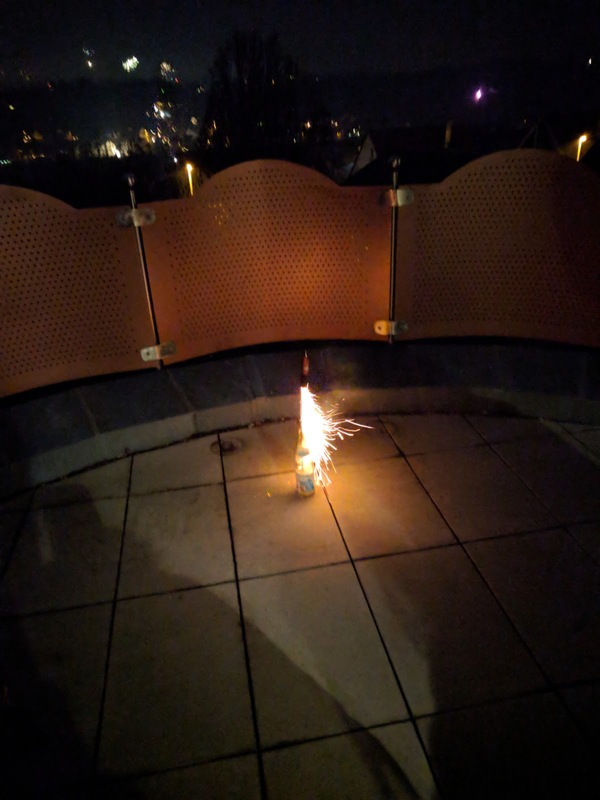 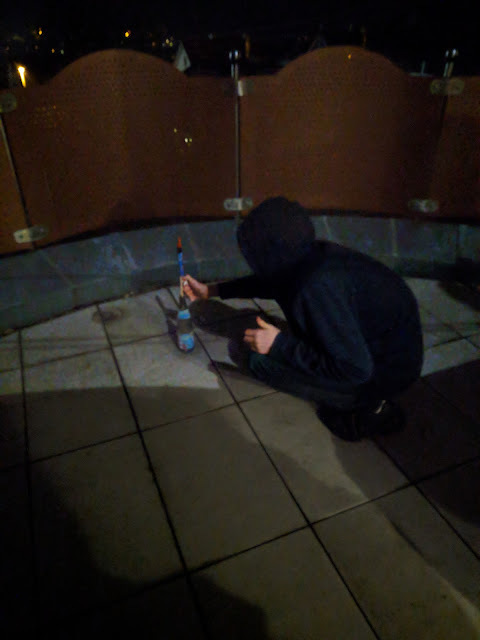 After all our rockets where launched, we went out on the street and continued with fire crackers, fountains, and other noise making devices.